As the number of states who have, or in which there is currently a push to legalize the use of marijuana, grows, we will see the states governments, and most likely eventually the federal government, become more and more involved in the selling, taxing as well as the growing and regulation of marijuana. As the government becomes more involved in the growing of the drug, it will allow for the manipulation of the drugs content, and the effect on the users. No doubt the potency of the drug will likely increase. But will that be the only changes made to the popular drug? Is it such a stretch to believe, that the reason we are seeing so many law makers willing to actually vote for legalizing marijuana, be it for medical use, or recreational use, goes beyond their wanting to help those suffering from cancer, it goes beyond the appeal of the revenue potential of taxing it, it may actually be leading to a future of controlling behavior through the use of pharmaceuticals. Could we be headed for the future predicted in such classic books as, “Brave New World”, written in 1931, or more recently in the film, “THX1138” produce by George Lucas in which a future is predicted where the government controls the population through the mandated use of drugs. So are we on that road? Could the government begin by legalizing marijuana? Then adding to it chemicals that would domesticate the population? Or maybe use marijuana as the gateway drug it has been alleged to be all along? Could other more powerful drugs be legalized in the future, could we see a time when the majority of the population was using some form of pharmaceuticals? Is it even possible that some time in the future, the use would be mandated through a government mandated health care system? OH! CRAP! This is to all those libertarians and others out there who hope to be toking up in the local bars someday, be very careful what you wish for. In pushing for the government to legalize the use of marijuana, you have invited the government into your body through the use of their product. Once they have you hooked on their pot, how hard is it to convince you it is your right to do heroin in the local bars? Soon the government you don’t trust with education, will be in charge of the pot you love so bad. You will have become the lap dog of the very thing you have railed against for so long, sitting obediently waiting for your next fix. 16 Comments on "Beware The Government Marijuana (Redux)"
Today is the 50th anniversary of the death of Aldous Huxley, the author of Brave New World. Also, author C.S. Lewis died 50 years ago today. The masses should not be prohibited from using marijuana because some of our finest politicians, in the highest offices in the country, have been and possibly are still stoners. Ban booze, legalize pot. The Government would make billions and put the cartels out of business, all at the same time- it’s a win- win. What is worse than the actual marijuana, is the fact that people have to buy marijuana on the black market from sketchy drug dealers who probably would have no problem selling you something stronger and more addictive. My guess is that by legalizing marijuana, you could keep drug dealers from ever having contact with the average person who just wants to smoke a little pot, and has no interest in cavorting with the criminal elements of society. FACTS are what this issue should be based on not uninformed peoples opinions. The majority of the article specifically relates to Colorado, Minnesota and Washington states. Between 2006-2011 motor vehicle fatalities involving drivers testing positive for marijuana rose 114%. There is a direct connection between marijuana use and violent crime. The Drug task force has linked marijuana directly to assaults and homicides. In the Hennepin County Adult Detention Center marijuana is the most commonly detected drug among the 36,000 inmates who go through booking annually. According to the latest data from this year 54% of males arrested for violent crime test positive for marijuana when they are booked. 3. In Washington State the legalization of marijuana has done nothing to deter the illegal drug trade due to the fact marijuana sold by the state costs 28% + more than street marijuana. Except Laffter, as the greed of the government grows and the taxes increase, the cartels will still have a market by selling a less expensive product. Unlike the government the cartels can cut their overhead, while government has proven time and time again that once they are addicted to the revenue there is no turning back. Just look at Delaware and gambling, when revenues have fallen the answer has been up until now, to double. So the very thing you believe would end the illegal drug trade, would in the end, in my opinion, only create more demand eventually. Think about how contradictory that sentence is. If there is still an “illegal drug trade” in marijuana, then marijuana is not really legalized in Washington State ! Big Gambling is a place I have to go , regulated buy the state. I figured what was posted was garbage. Delaware’s view on the powers of a Sheriff are the MINORITY view. Since you condone marijuana use, it’s fair to assume you will immediately turn any and all firearms you own over to the government as soon as you smoke or consume marijuana. Laffter, obviously you are not aware that anyone can also hold a high stakes poker game in their home as well as growing pot. Mr. Christy, simply being in the majority does not make it right. 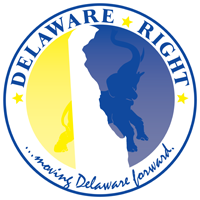 Also, you cannot compare what other states do and what Delaware did since each state has its own and unique state constitution and that is what the decision was based on, Delaware’s constitution, not Arizona’s. But as has been said many times on this issue, anyone who wishes to live in a state where sheriffs have more authority, they are free to move. Need help packing? Frank-if they do hold a high stakes poker game and the house gets any form of payment for hosting it- it’s illegal. It’s also illegal to take your prescription meds, like Motrin out of the pharmacy bottle and carry it around. There are many things that are illegal but don’t make sense. I am very anti- gambling , slots or cards etc…..I won’t even buy lottery tickets. However we have lost billions and lives on Pot. We have also lost the war on drugs . Let’s look at another screw up in Delawares Constitution. It specifically allowed for segregated schools Belton v Gebhart, Bulah v. Gebhart 1951. History proves the Delware Supreme Court got that wrong too. May 17, 1954 the SCOTUS outlawed segregation in schools, Delaware still didn’t get it right until years later. This would certainly explain why there’s still the undercurrent of racism and intolerance to outside ideas, it’s part of your cultural upbringing. I have no intention of moving from this state if for no other reason than to piss off people just like you. Alcohol also creates traffic violations and deaths. Marijuana doesn’t… someone on alcohol will casually run a stop sign… someone on marijuana will wait for it to turn green…..
Kavips says, “Alcohol also creates traffic violations and deaths. Marijuana doesn’t”. Kavips, I really don’t think you want to make such a blanket statement. Trust me as someone who used to smoke, I did some pretty stupid things while high and behind the wheel. When high your mind tends to wonder off of a given task, such as driving, trust me, being stoned and driving is the height of inattentive driving. Anyone who feel that DUI laws are justified should understand that DUI of pot is as dangerous as beer wine or hard liquor. We, the House of Tuxamus Maximus, are BACK !! Having been on hiatus since way back in mid November we are back!! The old Micron is alive and well and providing speed the satellite service (and nothing here in Sussex) can even come close to providing. Although we appreciate the award and will get to that later in the proper post we have been awaiting the opportunity to post on this subject since we were shutdown by our benefactor TMVolunteer. He’s so covered up with stuff he relented on Wednesday evening. We have missed being here. Now to the comment on the above post: we agree with most of the above comments by Tony Stark, delacrat, Laffter (missed ya and thanks for the laughs! ), fightingbluehen, Kavips and yes even Mr. Knotts himself but want to add that way too many decent people have suffered because they would rather toke than drink. Over the years we (call us Fred & Wilma for this comment) have known many that were bad drunks but great stoners. Yet to meet the mean stoner! Yes it’s true that it can be taken out of control but a person that doesn’t wake and stone but can wait to late to toke and chill out. There are way too many that get drunk at night and are still drunk when they wake. May be the same for those who toke but what’s the difference? Tax one but not the other makes no sense. Tax both and get on with things more important. Sure hasn’t kept it from happening over the decades. Being allowed to comment again and doing it on this post first is something we’ve wanted to do but now that Jan 1 has passed and all the initial news from Colorado has come out it’s really quite amazing. Apparently there are 34 outlets statewide. ALL OF THEM had waiting lines that grew to 3 hours. From all the reports we’ve read and heard (some first hand) the prices compared to that of black market weed and that included tax! Lots of limits on how the business is done and controlled. How they can keep you from leaving the state with it is beyond our understanding but you are limited to one ounce and apparently can’t go to one place to another buying it as that is monitored. Have to be 21 years old as well but that’s not going to keep it out of the hands of younger people just like buying beer here in Sussex. Been going on for decades everywhere. Many other control measure statewide but that’s a long list. Since Jan 1 we’ve been trying to find any issues that have arisen from pot being legal in Colorado but surely in time there will be something that comes along. Meanwhile taxes are being collected and laws being enforced as best possible. The first hand reports that we have are that the bigger issue id the gun control laws passed in Colorado. Seems the citizens could care less about the pot than the gun control laws enacted. Figure that one out what with the shootings of recent in Colorado. We are back in Mr. Knotts playground and hope to stay around. Missed interacting with most of you and for the most part it was fun. We also have a new moniker that we can use for the one that causes Mr. Knotts playground to be less than fun and when the time comes we will use it!! On to the award acceptance comment! !